Scientists have developed a gene therapy that prevents axon destruction in mice. The work suggests the possibility of a therapeutic strategy that could help prevent the loss of peripheral nerves in multiple conditions. Nerve axons serve as the wiring of the nervous system, sending electrical signals that control movement and sense of touch. When axons get damaged, whether by injury or as a side effect of certain drugs, a program triggers that leads axons to self-destruct. This destruction likely plays an important role in multiple neurodegenerative conditions, including peripheral neuropathy, Parkinson’s disease, and amyotrophic lateral sclerosis. The strategy could help prevent peripheral neuropathy, a disease that currently affects about 20 million people in the United States. Peripheral neuropathy can result from chemotherapy for cancer treatment or poorly controlled diabetes, and it causes persistent pain, numbness, burning, itching, and muscle weakness. “Peripheral neuropathies are the most common neurodegenerative diseases in the world,” says first author Stefanie Geisler, an assistant professor of neurology at Washington University School of Medicine in St. Louis. “Many peripheral neuropathies are caused by breakdown of nerve fibers, but we currently don’t have therapies that can directly block this process. For many neuropathies, we can’t halt progression of the disease and are limited to trying to treat the symptoms. We are somewhat successful decreasing neuropathic pain, but it is very difficult to alleviate numbness. When an axon gets injured, whether an injury cuts or crushes it or drugs damage it, a protein called SARM1 becomes active. 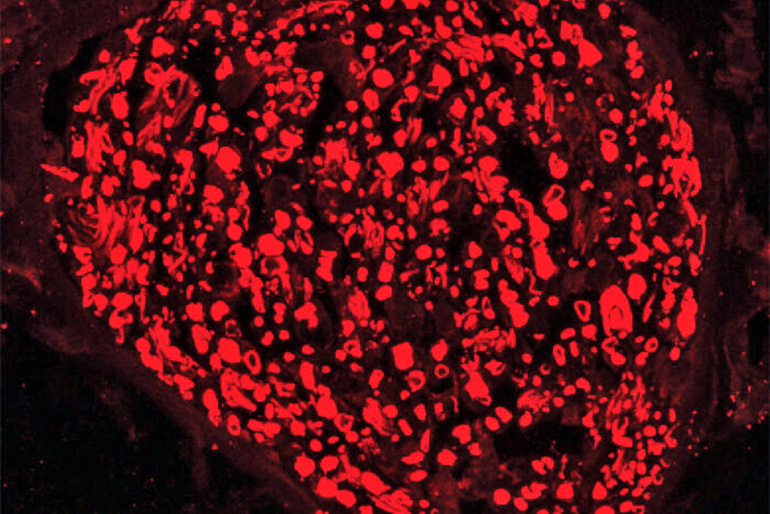 In healthy nerves, this protein is switched off. Past studies by this research team have shown that activated SARM1 triggers axons to self-destruct, kicking off a chain of events that quickly consumes all of a nerve cell’s energy supply. The axons of such cells break into pieces. In this study, scientists used a virus—one that can’t cause disease—to deliver into cells a mutated version of the SARM1 protein that blocks axon destruction. 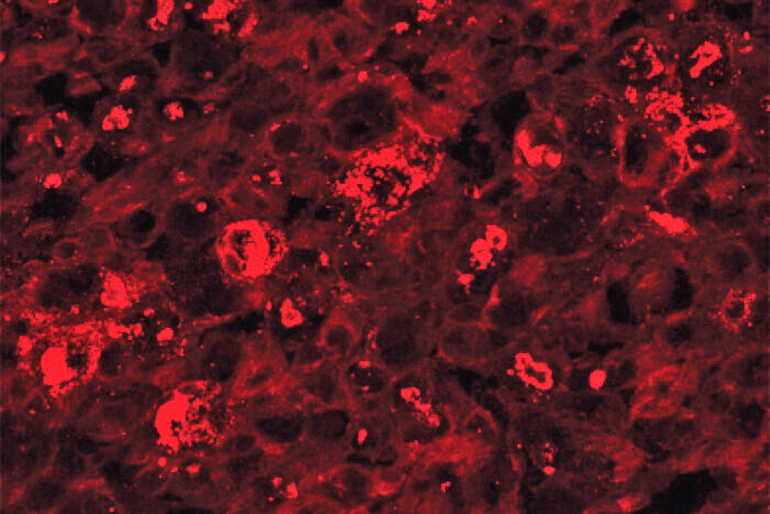 “With our viral gene therapy, we delivered a mutated form of SARM1 that is not only inactive itself but also blocks normal SARM1 proteins that have become activated in mice with nerve injuries,” says senior author Jeffrey D. Milbrandt, professor and head of the genetics department. The study appears in the Journal of Experimental Medicine. The National Institutes of Health; the Muscular Dystrophy Association; the Thompson Family Foundation Initiative; and the Hope Center Viral Vector Core at Washington University School of Medicine in St. Louis supported the research. Some of the authors (Geisler, Summers, Mao, DiAntonio, and Milbrandt) and Washington University are inventors on patents related to this work. DiAntonio and Milbrandt are cofounders of Disarm Therapeutics and members of its scientific advisory board. The authors declare no additional competing financial interests.